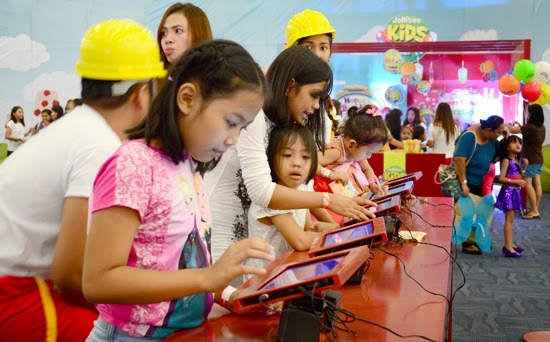 After I told my kids weeks ago that Jollibee and the gang of the famous TV program, Jollitown would be coming to Davao, they right away had my Google Calendar marked. I keep forgetting and skipping a lot of things these days, I bet symptoms of occupied mind, so doing this will secure May 9 for the event. Thought the calendar thing didn't work though, they kept reminding me everyday that I have some place to go on May 9, geezzz, these kids! Anyway, the alarm went full volume in the morning of May 9 and before I knew it they we’re all rushing to take a bath without being told. Woaah, wish Jollitown would be here every day. 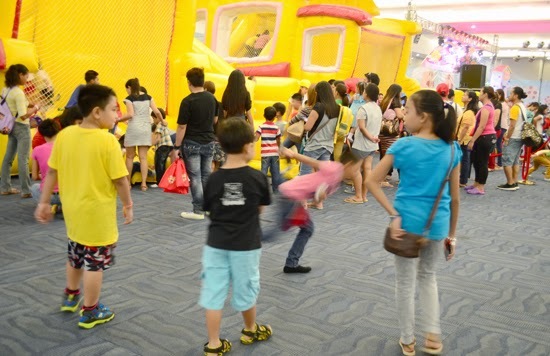 We came seeing all these eager and excited mommies, daddies and kids at the entrance. We waited for our turn and finally we’re in. 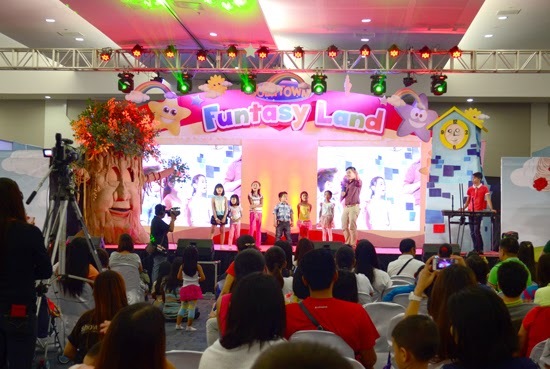 Wow, the whole SMX Convention Centre in SM Lanang was turned into a wonderland; there were kids and their mommies and daddies lining up on every attractions at the hall. My kids didn’t know what to try first. 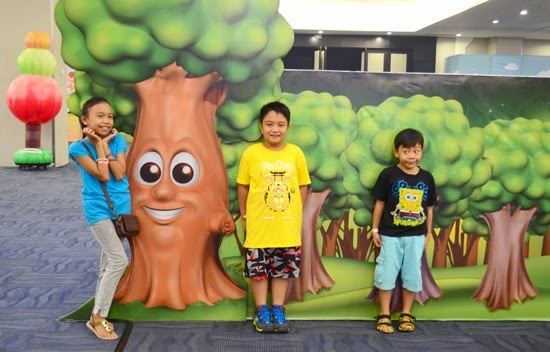 Then we we’re greeted by a Kuya to try the Maze of Enchanted Trees, hence, getting inside the maze was the first thing they did at Jollitown. Feeling euphoric after they made it out of the maze, they did it again and again and again, lol. Photo opportunity with this fancy tree wall, I really love this! And so the adventure inside Funtasy Land begin .... In the end I was so exhausted following them around. I was afraid I'll lost them in the crowd, not that I was afraid some bad guys would pick them up randomly, they can't do that in a child ever so friendly city, Davao. But I was so concerned about my aching legs and finding them would mean me walking around, lol. But then later thought, oh, what's funtasy land without having fun, go wander around and told them I'll just wait in one corner near the door. Problem solved! The Rainbow Slide was a hit among the little kids. Trying out the interactive games! The Tram was one of the most lined attractions at the hall, despite the long queue my kids waited for their turm. They just wish it has a longer course like it would circle around the hall. The Gift Shop was another counter with a long line. Jollibee souvenir items were sold here. 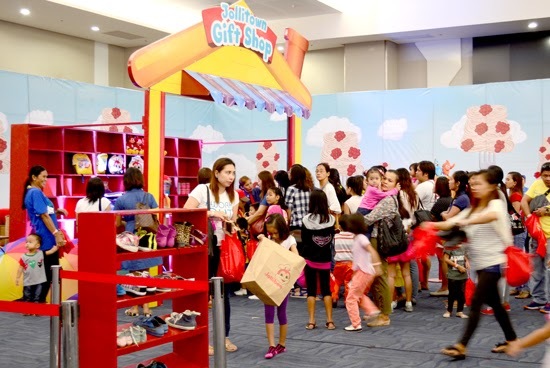 Bags, umbrellas, tumblers, miniature stuffed Jollibee and so much more. Hetty on stage. 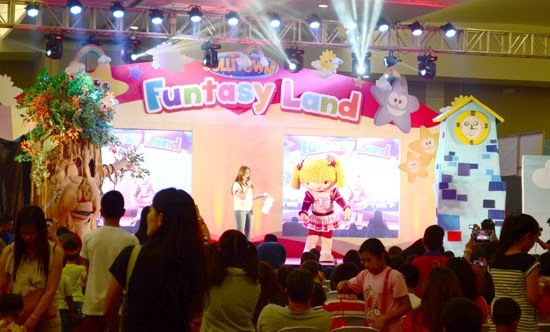 I was waiting for Jollibee to join her and when he came out, the kids rushed near the stage that I was caught up in the middle crowd and can't move my arms to take a photo, lol. Hetty and Friends entertaining the kids! 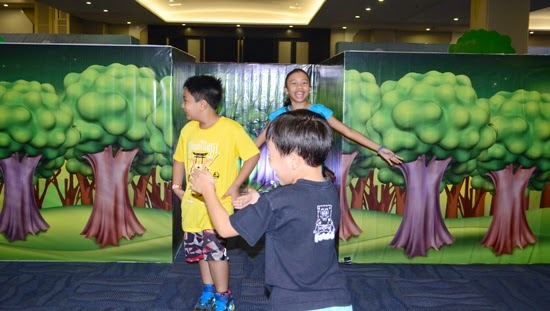 There were also crash courses on singing and dancing done in between shows, kids joyfully cooperated. 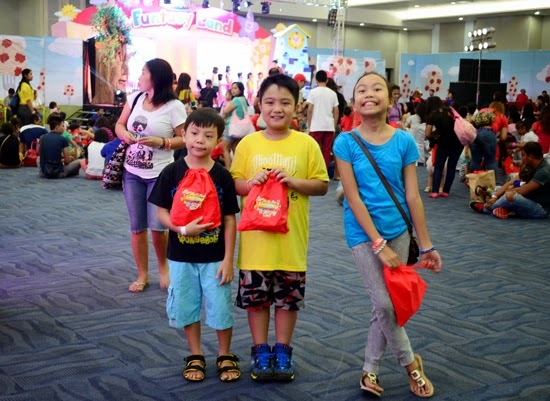 My Jollibee fans with their loots! 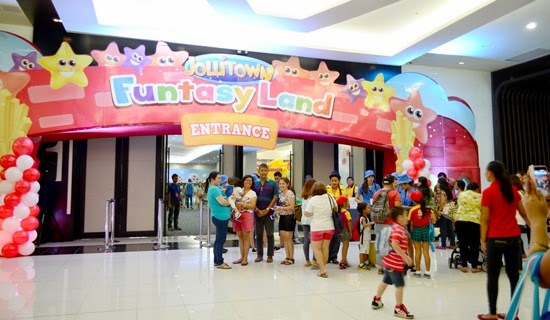 Jollitown Funtasy Land was a fun experience for my kids, it was a morning well spent. They went home still talking about the giant slide, the dingdangdong clingers, the maze and so much more. Wish Jollitown will be back in Davao again next year! 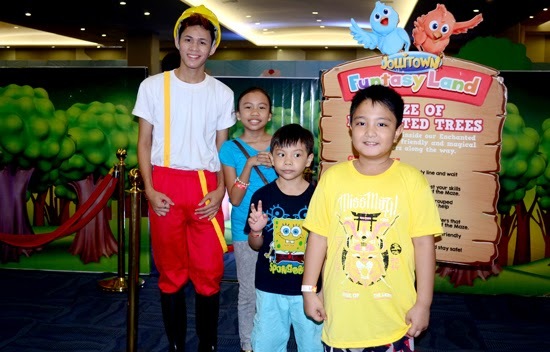 Thanks Jollitown for coming to Davao! 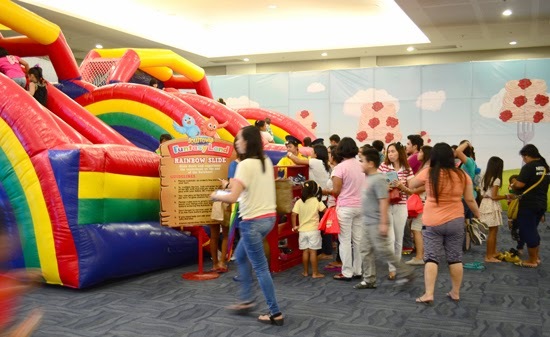 Get exclusive invites to Jollibee's events, be a member of JOLLIBEE KIDS CLUB! Ang kikay lang nga dalaginding mo Ate hehehe. She is so pretty!